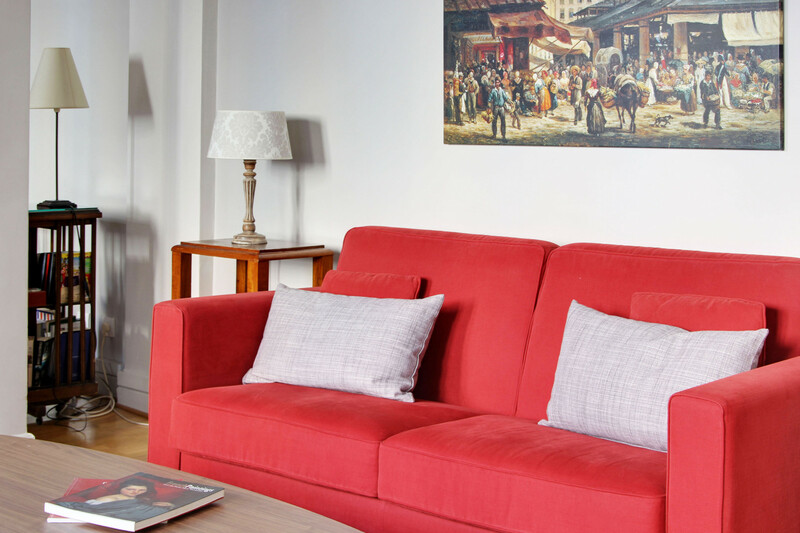 On the edge of the Marais and just next to rue Montorgueil, this spacious apartment is tucked back into the courtyard of a quiet building on a tranquil street in the 2nd Arrondissement of Paris. The view from the flat is over Paris rooftops and sky, the result of this is a virtually silent space, free from the street noise of surrounding Paris. 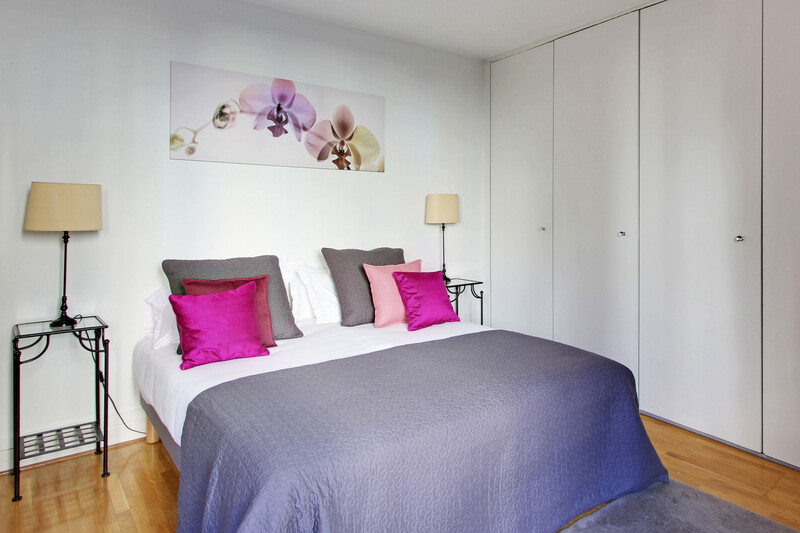 This 68 square metre flat is organized to have 2 separate sleeping areas, making it a 2 bedroom. Upon entering, the guest enters into an entry lounge, containing a two single beds and a wall of cupboards for storing clothing and luggage. We can add a third single bed (fold out) to this room. This first room is separated from the double living area by a large sliding door - when open, the spaces are joined to make a large, sunny, loft-like space, and when closed, the entry becomes a quiet separate room for reading or sleeping. The double living and dining area runs the length of the apartment and is illuminated by a wall of windows on one side. The first lounge area is furnished with a sofabed that has a very thick mattress and an easy opening made for sleeping every night. Two luxurious Napoleon-style armchairs, and TV, DVD, and wireless high-speed internet. The dining area contains an expandable dining table surrounded by comfortable leather dining chairs, and can seat 10 if the desire for hosting a large dinner party takes hold. There is also a large leather sofa bed here so ideal to have some space to yourself if needed! Proceeding through the apartment, the quirky nature of Marais apartments is revealed by a series of doorways and stairs. Many of the apartments in this area are recuperated from several different spaces in very old buildings and thick, crooked walls, myriad steps up and down, and tilting floors are the norm. Back in the main level of the apartment, a step down from the dining area takes you to the newly renovated kitchen. It is fully equipped with large refrigerator, 4 burner induction range and oven, clothes washer, dishwasher, microwave, electric kettle, coffee pot, and more amenities. The corridor, accessed by a step down from the dining area, leads first to a large bathroom with double sink vanity, toilet, walk in shower, and then to the main bedroom. 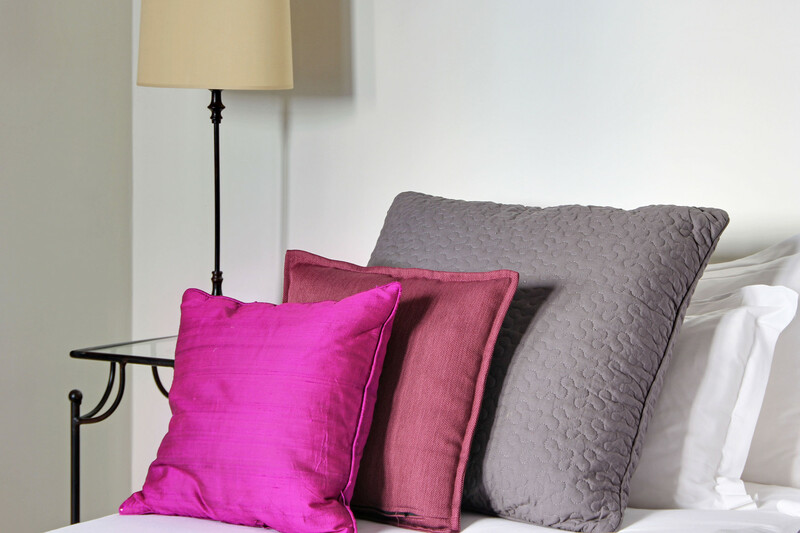 The bedroom contains a queen size (160 cm wide) bed and a chest of drawers, and two bedside tables with lamps for those lazy mornings in bed with the papers and a cup of coffee. The Montorgueil district is centred around rue Montorgueil, a primarily pedestrian street which is a "rue des commercants" - or shopping street par excellence. This street is packed with all of the little shops any Parisian (or visitor) could want - greengrocers, butchers, fishmongers, bakeries (including Stohrer, a bakery and patisserie dating from 1730) flower shops, chocolate shops, wine stores, and even a few gelato shops. The street serves as an artery running from Les Halles park (originally home to the largest central market in Paris but converted in the 1960's to a park and underground shopping mall, complete with cinemas) north to rue Reaumur. Restaurants and cafes abound, as well as the scores of boutiques in the surrounding streets. The area has in recent years become a haven for young designers and this is evident in the small boutiques scattered throughout, but the larger clothing stores still remain as well, centred around rue Etienne Marcel, which runs toward Place des Victoires, a 5 minute walk away. An often missed treasure just across the street from the apartment is the Passage des Grands Cerfs, one of Paris's many enclosed passages - glass-roofed passageways lined with shops and boutiques. True to the neighbourhood, this passage contains several funky clothing stores, a restaurant, and a few galleries and furniture stores. Upon walking into the apartment I was taken by the size. It is big for a Paris apartment. It was also spotlessly clean. Everything we needed was available, and in perfect order. The bathroom was big with a double sink and the kitchen was the right size for us to make breakfast every morning and to make an occasional dinner. The location was perfect and just a few blocks from restaurants and other fun site seeing locations. I will only stay here from this point on when I go to Paris. Everything is perfect. The team is always helpful and professional. The apartment was good. Well appointed and a great location. We enjoyed our stay at Montorgueil. The apartment was clean, roomy, with comfortable beds and recently updated kitchen and bathroom. We were greeted when we arrived and given a tour and instructions on how to use the new appliances. It is on the second floor with steep winding stairs in case anyone has a mobility issue. We especially loved the neighborhood which had great restaurants and local shops for all our needs. We were within walking distance to the Louvre. Just returned from a week long stay in Paris with 3 friends. The apartment was clean, centrally located and big enough so that everyone could have their own space. Downside- apartment wasn't ready when we got there however when we did get to settle in it was very clean. We were allowed to leave our bags and the housecleaner called us when it was ready. The staff gave us a great orientation to the area and went over how to work all the appliances in the apartment. Would highly recommend this apartment- thought we got great value for our money! Good location! Perfect for a family. We spent a great week at the Greneta apartment. We are a family of four and it was perfect for our needs. It was a good location for walking to quite a few places including the Louvre (20 min walk), Les Halles (10 min) and the excellent Rue Montorgueil with excellent shops and restaurants. The metro was an easy walk. The apartment is pretty quiet overall. It was so nice to have a dishwasher and washer/dryer (all in one unit). The apartment is very well located. In a charming and very convenient area near to the shops, bars and restaurants. Metro and RER stations nearby. The apartment is sunny. 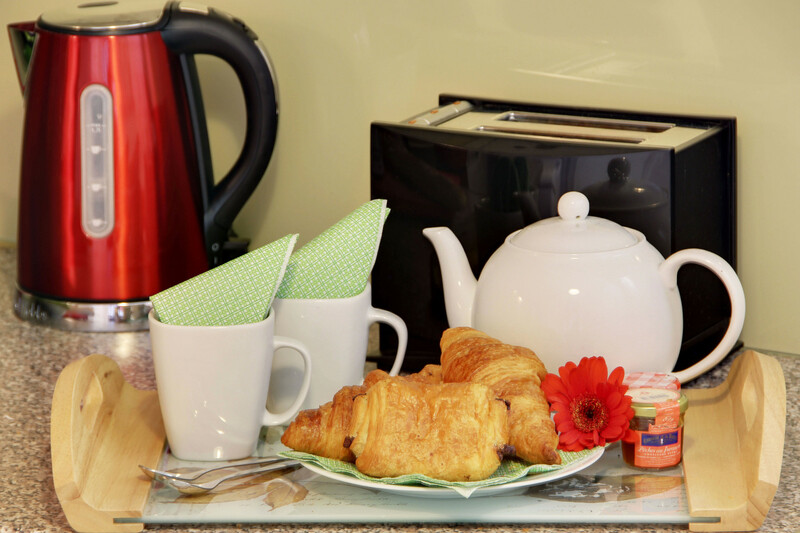 The apartment is well equipped and was good for 4 adults and two children. The larger room is located near the apartment's entrance door, which may be inconvenient for some travelers. As we were in family this was no problem. The apartment is in a good location. It is on a quiet street and although there is not much on Rue Greneta itself, walk 5 minutes to Rue Montorgueli where it is lively full of restaurants, bakeries and shops. 5 minutes in the other direction is Monoprix supermarket and the metro. Walk south is Les Halles and the 1st arrondissment where there is plenty of shopping, restaurants and fast food. Louvre and Notre Dame within walking distance. The apartment itself is large and has all the mod cons including microwave and dishwasher. Two rooms one with two singles and the other has a queen. Floor boards in some parts creak a bit! Overall, the closeness to conveniences and attractions make this a good choice for any group of travellers. We thoroughly enjoyed our stay. A great location, close to everything, but a quite apartment that was our retreat. The 'little extra's' were appreciated - tea, coffee, detergent etc. We definitely recommend statying here. Thankyou. We are a family of 5 and found the apartment comfortable with amenities we were looking for. The unit is close to a subway station, and right above the ground floor on a quiet street. There is a market area a block away which is a plus. The unit has many windows that can be opened and we found it spacious for us. We very much enjoyed our stay there. My sister and I, along with two teenagers, stayed in the apartment for a week and found it to be perfect. The location is close to the Metro but also walking distance to many attractions. There are shops and restaurants in the area which are convenient. Because of the courtyard setting and as it is on a side street, there is very little noise. The apartment is well appointed and plenty of space for all. Overall, would very much recommend it. This is ideally located apartment on a quiet street. We were able to walk everywhere in Paris from here. Great restaurants and food shops nearby. The apartment is clean and comfortably slept the 5 of us (2 adults; three kids under 12). Paul was very helpful in showing us how everything worked. We choose to eat out a lot as we were only there for 4 days so didn't really use the kitchen but it looked well equipped. Would recommend this place to friends and we would use it again. Apartment was just as described and in an incredible location. Check in/ out was quick and easy. Would rent again! Thanks! My team had a very pleasant stay on Rue de Greneta. No complaints. The location was perfect for us as our business was less than 5 minutes away and the place comfortably housed my team of 4. We stayed in Paris 9 days, a family of four with two teenage girls. We had an excellent time, and the property at 34 Rue Greneta was a key part of that. We loved the location - there were three metro stations in easy walking distance (less than 5 minute walk). A full size Monoprix was next to the closest metro station, which was very handy. A short walk to Rue Montorgueil with a number of good cafes, a couple of U Express, and markets. The flat is up 2 flights of narrow winding stairs. You could probably sleep 8 comfortably, however with only one bathroom, you would need to be good schedulers. The dining table sat 6. Kitchen was perfect for our use as we ate breakfasts in, as well as a causal dinner or two. Washing machine was handy for a couple of mid trip loads (laundry detergent was provided). The building is nice and quiet, and even though there is no a/c, our flat stayed cool even through some hot days. Reservations were easy. We were met at the flat and given a complete walk through. The flat had high speed wifi and a phone for local and international calling. We left the flat pretty much as we found it and were promptly refunded our deposit. We would definitely stay at this property again (VRBO) and would rent any of the other properties from this manager. The rental agents were very helpful when considering booking and also extremely helpful on arrival at the apartment.The apartment was very spacious and everything for a family was available.Close to metro,close to supermarket and sightseeing.Overall the apartment was great however one of the sofa beds was very uncomfortable but the rest were fine. Wooden floors creaked alot .Generally though we were extremely happy with the apartment.A clothes dryer would be of benefit in this apartment but generally very well equipped. with the instruction book that came with the apartment,dealing with Paris rentals and the guy who met us at the apartment, he was very helpful and nice. Very secure apartment on 2nd floor, accessed by stairs, with plenty of windows. Everything was well stocked. We were greeted well when we arrived and everything about the apartment was well explained. Our host oriented us on the neighbourhood, local shopping, and transport. We did not have any problems. The apartment looked just as it does in the pictures. It was a great central location. We could live there. Well located accommodation, comfortable and clean. Great alternative to a hotel stay... flexible options for dinner out or dinner in. Conveniently close to groceries and cafe style eats. Would defintely consider this location again. This was our first rental as a couple with our adult child in Paris. We had enough privacy and space. Superb location for foodies (both small restaurants and specialty retailers). Rer, multiple metro stops, and buses. Easy walk to Pompidou, many retail boutiques and the Bazaar de l'Hotel de Ville. The very center of the Marais. We loved it! We were met by an american property manager, who walked us through the apartment, showing us the layout, how to use the appliances and even making sure our laptops and iPods were all hooked up to the Wifi. After that, we were never bothered, but she made sure we knew exactly how to contact her during our stay. Not knowing the neighborhood, we were hopeful, but unsure what it would be like. 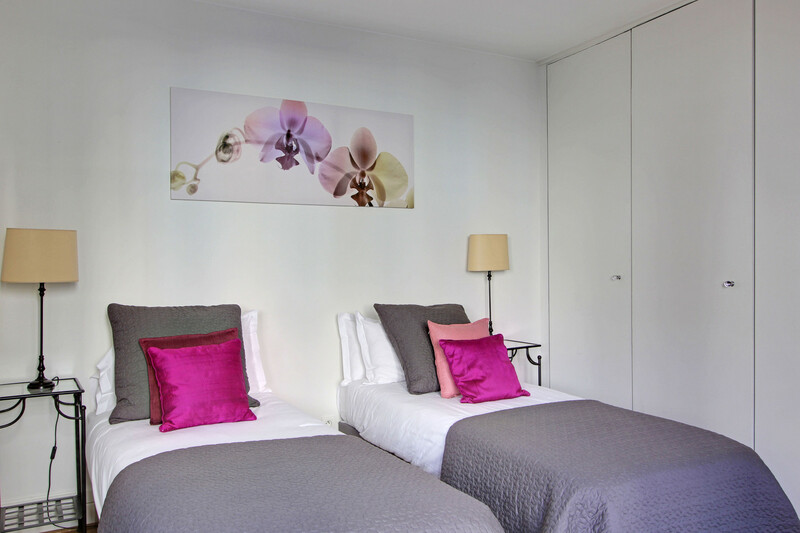 We were pleasantly surprised that it is in the heart of Paris, walkable to almost everything and in the middle of a "pedestrian quarter", so extremely quiet at night. And the Rue Montorgueil market street right around the corner was unlike any other we saw in Paris as far as convenience, quantity and variety of bread, cheese, produce, and meat shops, cafes and restaurants - everything - and something always open. The "Paul" bakery, right where Rue Greneta meets Montorgueil was the closest, and our favorite. Rue Greneta itself is quiet, and be prepared for 2 flights of stairs with no elevator (i.e. bring your man along to carry up all the heavy stuff). Plenty of room for our family of 5. Tastefully decorated (our French friends were impressed). Clean, quaint, convenient and large dining area and table easily seats 8. Master bed is little hard - recommend the owners invest in an egg-carton type mattress pad for the sensitive sleepers (like me). My wife slept great. That was the only minor discomfort we felt. Loved it. Recommend it. Will look for it next time we return to Paris. We loved this great apartment. Space was really well laid out and well furnished. The location cannot be beat...very quiet, but so close to amazing shops and cafes. We would definitely stay here again. Having the broker meet with us in the apartment was nice, and gave us a chance to ask questions onsite. Our family of 5 spent a week at Rue Grenata which was in a convenient location to either walk or get the Metro to all the sights. The open plan design of the apartment was excellent to accommodate everyone with plenty of space. We liked the apartment a lot. The layout was great. The apartment was very clean and well stocked with all that we needed. The location was wonderful, close to metro and lots of restaurants. This lovely apartment was a good fit for our family of two adults and 3 teenage girls. All the basic amenities were good: the beds were comfortable, the bathroom spacious, the kitchen reasonably outfitted for light meal preparation, and the dishwasher and washing machine quiet and efficient. 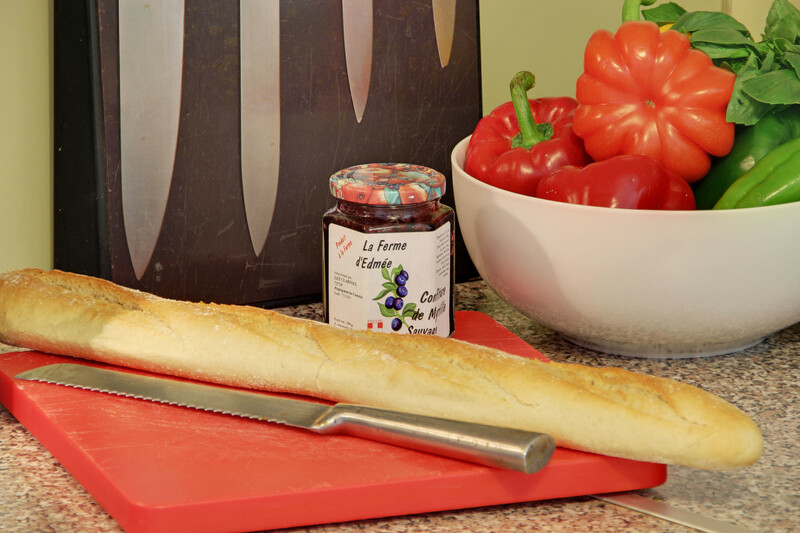 It is located in an ideal location, with a five minute walk to several metro stops and a grocery/general store, only two blocks from Rue Montorgeuil where you can find great bread, cheese, pastry, and gelato. On Rue Montorgeuil you will also find prepared foods and a many cafes, and the shopping is open Sunday morning when much else in Paris is closed. This location is an easy walk to many of the popular attractions. While we were researching the option of a vacation rental, we came to rely heavily on the comments of guests who came before us, and dearly hoped that they were true. In the case of the Greneta apartment, they were. Absolutely. We are a family of four, including two adult sons, and stayed for nine days over the New Year and into the first week of January. We were somewhat worried about the sleeping accommodations, since both our boys are tall. We did not have to worry, and even had the option of a rolling mattress in addition to the pull out sofas, which were both of good quality. We also wondered about the general cleanliness and maintenance of the apartment, both of which were also non-issues. The apartment was spotless when we settled in. What a location. In addition to being very quiet (as others have noted before), we never wanted for any amenities from shops to attractions within easy and convenient walking distance. I must mention something about the staff of Home Connections. Between Michelle, Kelly, Alexandra and Jeannie, they were responsive and answered our many questions quickly and completely, and went out of their way to assure our holiday reception was seamless. Probably the biggest question we had on arrival in Paris was 'would everything turn out as it was advertised?' The answer was yes. Dead easy, and exactly as advertised. Thank you, Ladies. One additional point--we booked the Paris Shuttle online for arrival and departure ground transportation. They were waiting for us on arrival as advertised and had us to the apartment within one hour (we are still amazed), and were waiting for us the morning we departed. This was a no-hassle option that we would do again. 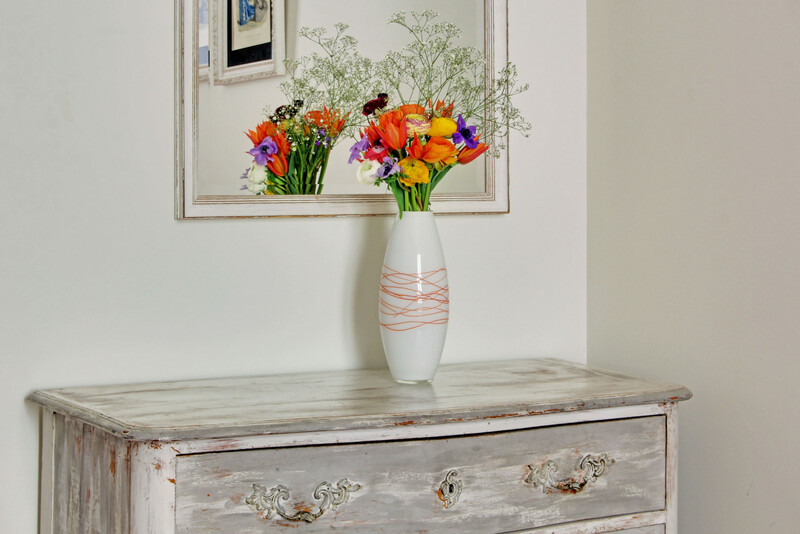 The vacation rental experience is one we would do again. It is now the only way to go. We had a great time here. 3 kids (8,7,3) who we sandwiched into the main bedroom whilst my wife and i took the one that opens into the living room (easier because we could have dinner/TV when they were in bed). Flat is fine: not huge but has everything you need (apart from a view). Area is great - Rue Montagueil is really buzzy and has everything you need. Some good local restaurants - tripadvisor ratings were good. Metro nearby which was an easy way to travel around. The apartment is spacious and can accommodate a large group. There were 4 adults and a teenager in our party and there was plenty of room. There isn't a lot of privacy though with only one real bedroom but this was not a problem for us. The apartment is within 5 minute walk from 2 metro stations and lots of food options (either to take-home and cook or cafes to eat at). The apartment also has wifi which made it really simple to stay wired for those that need to do that. It was alo a good way to stay in touch with folks at home via Skype. My wife and I, along with our two children (2 and 5 yrs old) stayed in the apartment last Summer. It was a wonderful experience and we will definitely do it again! We traveled from our home in New York and were greeted at the apartment, shown how everything works, given keys, etc. The apartment is a great size (you could never get anywhere near this much space in a Paris hotel for the money). The kids loved it. Very comfortable, quiet and had a great overall vibe. Around the corner (literally 1 block away) is Rue Montorgueil which is a hip street with incredible restaurants, quite a scene. Highly recommended!! Great location, easy check in/out, quiet, clean and comfortable. Good for first time visitors and repeat trips. Loved having a kitchen and washer while traveling with a toddler. Some stairs to climb. The apartment was clean and had plenty of room for a family of five adults. The location was ideal and within walking distance to all major sites. We enjoyed walking around the neighbourhood which was very safe with access to shops and restaurants. We would not hesitate to go back to this great location!!! 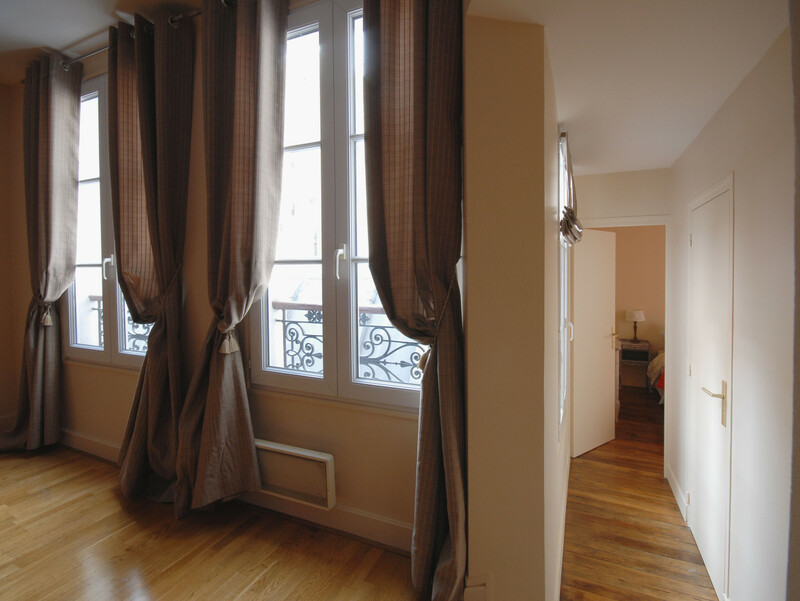 Excellent quiet and spacious apartment in Montorgueil area. Very clean and well equipped. Rue Montorgeuil very nearby for excellent bakers and market. There are a number of very fine bistros within walking distance and good connections for metro and mainline stations.All of central Paris walkable from here if you are happy to tot up the miles. would come again. Step through the massive wooden door onto rue Greneta and within two minutes you can be buying croissants from a white-jacketed counter assistant at a patisserie which began as cakemaker to the French royal family in 1730 (Stohrer on rue Montorgueil). Two minutes later, within the grey Gothic depths of Saint Eustache, a church as large as a cathedral, you can track rare bands of sunlight as they dapple the ancient stone gold and purple. Just thirty seconds more and you can be exploring the passages and courtyards and tall, tight streets which Zola described so minutely that it is a small work of the imagination to summon up the clatter and colour and pungent aromas of the time when the newly opened food markets of Les Halles had just become 'The Belly of Paris'. I could go on...it's a short stroll to the Centre Pompidou, the Palais Royal, the Seine... the neighbourhood has a particularly wide choice of eateries, including welcoming, affordable restaurants serving the kind of food French grandmothers would approve of... rue Montorgueil, free from cars, but full of cafes, is the ideal place to people-watch... and this apartment is a wonderfully quiet, comfortable, well equipped and unusually spacious haven from which to discover the heart of the city on foot. p.s. Throughout our two-month stay Michele and her team have looked after us with their usual kindness and attention to detail. I travelled to Paris with two friends from the other side of hte world. 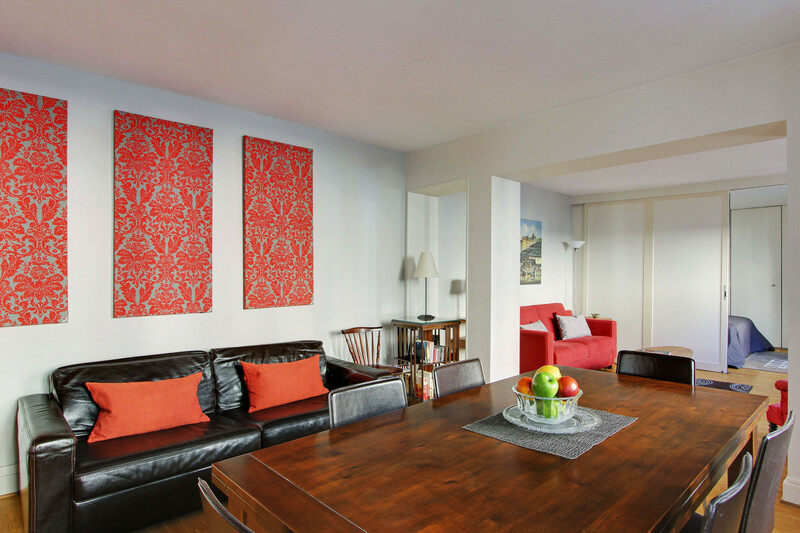 We found this apartment on the internet, which made it veery easy for all of us to view it and make our decision. Michelle was very helpful in the booking process and made that very easy. The only hitch in the holiday was that the man assigned to check us in misjudged how long it would take us to get there and arrived at the apartment after we did. The apartment can be set up as 3 almost separate bedrooms, which suited us well. It worked very well for three independent women holidaying together. One problem was that we only had 2 keys, and at one point one of the party was left sitting on the doorstep (or in a friendly cafe) for an hour waiting for someone to return with a key. We loved the location. There were wonderful sights within walking distance. The other two got up early in the morning for photography walks while I slept in. Breakfast of coffee and croissants was possible in a nearby cafe, which gave a distinctively Parisian start to the morning. The apartment was close to the metro system, which meant we could get anywhere we wanted, quite easily. The apartment was a welcome base for times of rest during the day and in the evening. It felt personal and like a real home! We just returned from Paris this week. We spent Christmas day through New Year's Eve at Rue Greneta. We truly loved the apartment. It was everything we hoped it would be. Alexandria was our contact while there. The apartment was very quiet and convenient to everything. All of our travel was either walking or catching the metro which was very close by. We contacted Elysee Car's for transportation from the airport, but due to the holiday we could not get them for our return trip. However, we were able to arrange our return trip through Paris Shuttle which was as prompt and professional as Elysee. Overall, we hope to return to Paris and will indeed return to Home Rental Connections. Overall we enjoyed our stay in this apt a lot. We had a few problems (eg very old, worn baby cot provided for a charge) but they were dealt with quickly and professionally. The kitchen was well equipped, everything was clean and comfortable. 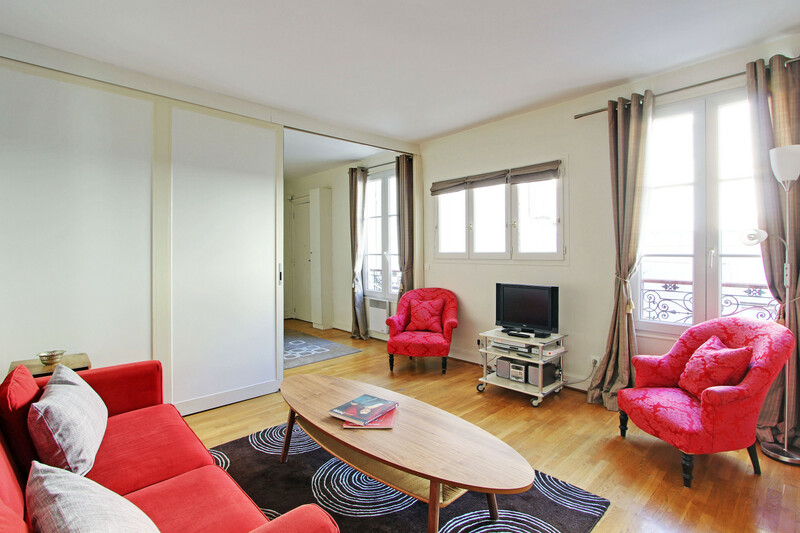 Great location, we really appreciated the shops on rue Montorgueil for self catering. We spent six days in this rental with two teenage children (18 & 17). The apartment was quiet, comfortable and well stocked to help us initially, even having travel guides of Paris. It is close to transport, and so visiting major sights from here was easy. Make sure you visit Rue Montorguei for the great foods. From the initial enquiry to our final dealings with the agent, our experience was seemless. We would love to return to Paris and if so would use this agent again and stay here. The apartment however is better suited for four people. It would be stretched if there were six staying there. 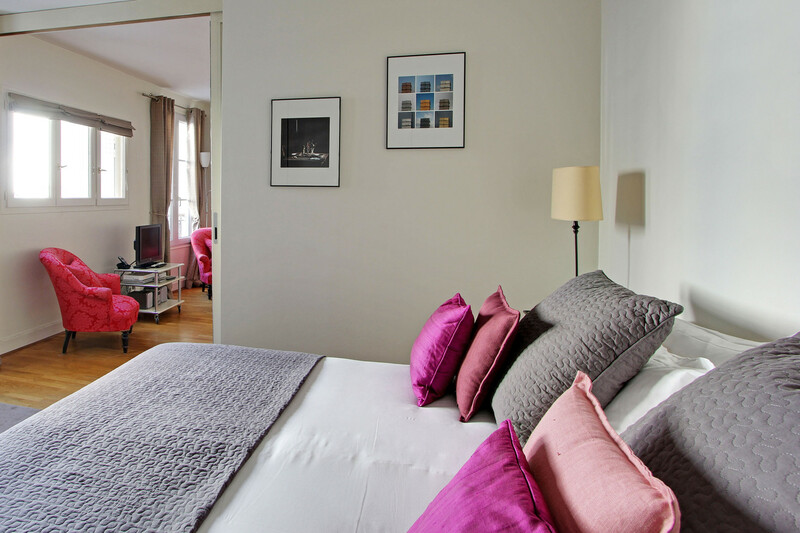 "Excellent Space in an Excellent Spot"
We stayed in Paris 9 days, a family of four with two teenage girls. We had an excellent time, and the property at 34 Rue Greneta was a key part of that. We loved the location - there were three metro stations in easy walking distance (less than 5 minute walk). A full size Monoprix was next to the closest metro station, which was very handy. A short walk to Rue Montorgueil with a number of good cafes, a couple of U Express stores, and markets. The flat is up 2 flights of narrow winding stairs. You could probably sleep 8 comfortably, however with only one bathroom, you would need to be good schedulers. The dining table sat 6. Kitchen was perfect for our use as we ate breakfasts in, as well as a causal dinner or two. Washing machine was handy for a couple of mid trip loads (laundry detergent was provided). The building is nice and quiet, and even though there is no a/c, our flat stayed cool even through some hot days. Reservations were easy. We were met at the flat and given a complete walk through. The flat had high speed wifi and a phone for local and international calling. We left the flat pretty much as we found it and were promptly refunded our deposit. We would definitely stay here again, and wouldn't hesitate to rent other properties from the same manager. Great location for 2nd Arr. Very close to Rue Montorguiel. We found the apartment met our expectations, going by the details provided online. The apartment was very comfortable, spacious and clean. All windows face onto a courtyard, so no traffic noise. Only downside was the washing machine was out of order and we were running low on clean things at the end of our holiday. We quickly overcame our disappointment at not being able to do laundry whilst in Paris. The booking process was very easy and we were given a good recommendation for airport transfer and out of hours key collection. We would stay there again. Thank you. I brought a friend and a co-worker to Paris after doing some business in Bourges. We were very pleasantly surprised to be greeted by the agent who spent a lot of time with us to orient us to the apartment and to give us some suggestions for things to see and do in the area. Being on an inner courtyard and on a street with almost zero traffic, the nights were very quiet and it felt very safe. The location near Rue Montorgueil was ideal for shopping as Parisians do for food and wine. The only recommendation I have is provision of shampoo. Otherwise, the apartment was nicely stocked with the essentials. Also, the additional charge of 62 euros for an extra set of sheets for the sofa bed seemed excessive. Otherwise, we were very happy with the place. "Large, Central Apartment in Paris"
We loved our stay at this apartment. It had plenty of space a kitchen with everything we needed, including laundry detergent, paper towels, dishwashing detergent, and toilet paper. We would definitely stay there again. It had plenty of storage space for clothes and suitcases so when we had friends and family over for dinner it seemed like a home. Not just like a place we were staying. After spending the previous week in a hotel in an another city, our family of 2 adults and 2 kids ( 7 and 9 yos) were happy to have the space and the ability to relax and spread out after spending a busy day sight seeing. Like all the other reviews say there are plenty of grocery stores, restaurants of all kinds, bars, cafés, museums, play grounds. Don't miss the Musee d'Art et Metiers which is very close and doesn't have the lines of the larger museums and is probably the closest to the apartment. My husband and I and our 2 young kids and my in-laws stayed here for a week. 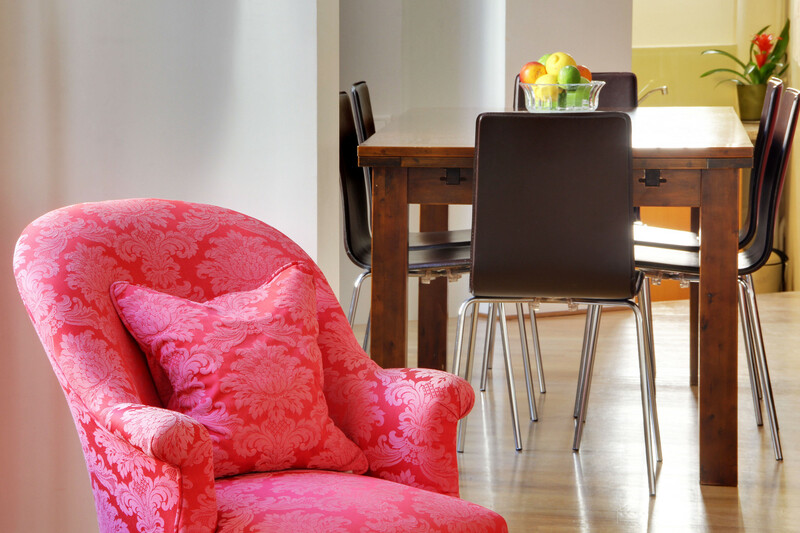 The apartment was bright, comfortable and well-equipped. There is one bedroom which is very separated from the rest of the apartment. The second "bedroom" is part of the loft-like space. It can be separated off from the rest of the loft-like space by a sliding wall. One thing that some people might not like is that the front door to the apartment is into this second bedroom. But I found it really convenient for slipping out to get croissants while everyone else was sleeping. The bed in this second bedroom is a sofa bed, but it is very comfortable, at least for small people like my husband and me. Our kids slept on a camp bed and pack and play respectively. The sofa in the living room also converts to a bed. The bathroom does not open off any bedroom (good for sharing) and has a bathtub, useful for travelers with little kids. The kitchen is small but well-equipped. We made both lunch and dinner at home almost every day, much more comfortable than eating out with the little ones. The only thing missing for us was a high chair or a nice fat telephone directory to sit the toddler up on. For food shpping there is a very convenient Monoprix on rue Sevastopol, and lots of little specialist shops on rue Montorgueil (open Sunday mornings). Our favorite croissants were at Kayser on rue Montorgueil, which also opens earlier than other bakeries (Patisserie Stohrer was closed for August). The apartment has a washing-machine. As typical in Europe, no dryer, but the drying rack and two fans did the trick, and with little kids, in-house laundry is your friend. The apartment is up 2 flights of twisty stairs, so not good for those with limited mobility. We'd brought a light umbrella stroller which was easily brought up and down. The apartment is very well located. We walked to Notre Dame, the Louvre, Pompidou Center, Marais, etc etc. For the metro, Sevastopol is the closest stop, but Chatelet-les Halles is also very convenient if you want access to RER and other lines. A few more tips for travelers with little kids: We loved the Jardin du Luxembourg (took RER) and the Jardin du Palais Royal (walked) as well as the park in Square du Temple. And surprisingly, the Louvre was a big hit, especially the Egyptian section. 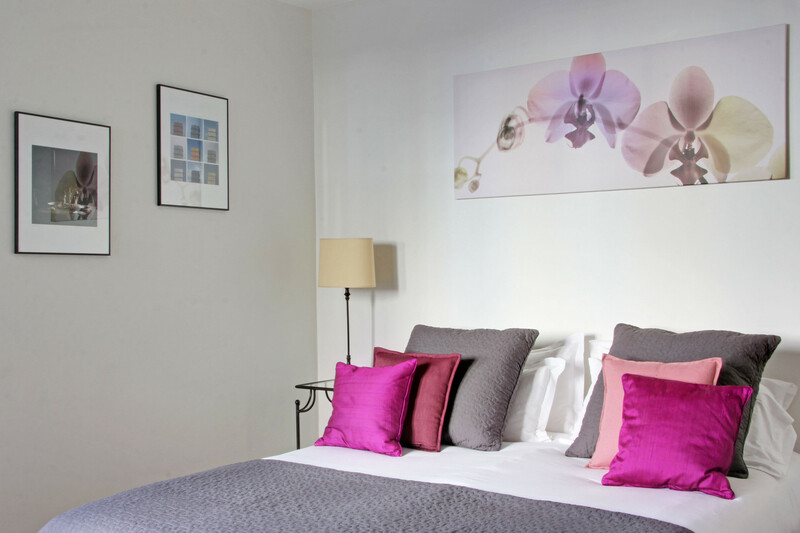 For the Eiffel Tower, in high season book online weeks in advance. We didn't, so we'll climb it on our next visit, hopefully soon! This apartment met all of our expectations. I was travelling with my 3 youngish daughters and a friend. So the two bedrooms worked well for the two adults and the pull outs for my daughters. It is well positioned for cafes and food markets and also getting to the various sites that were within nice walking distance so that you could sightsee and enjoy the atmosphere whilst walking. Shelley the manager was extremely helpful in checking us in and we had no issues so no need to contact her at all during our trip with any issues so this made it very easy. The apartment was clean, easy to keep tidy and had all the amenities that we needed! -- particularly the washing machine!!. It had enough space so on those down times we were not cramped. It was quiet no street noise and in a great district to launch into other areas when needed. A definite recommend and I would stay there again! Wonderfully located spacious apartment, close to everything. Agent very informative when we arrived. Would stay here again when next in Paris. we had a fabulous week !! 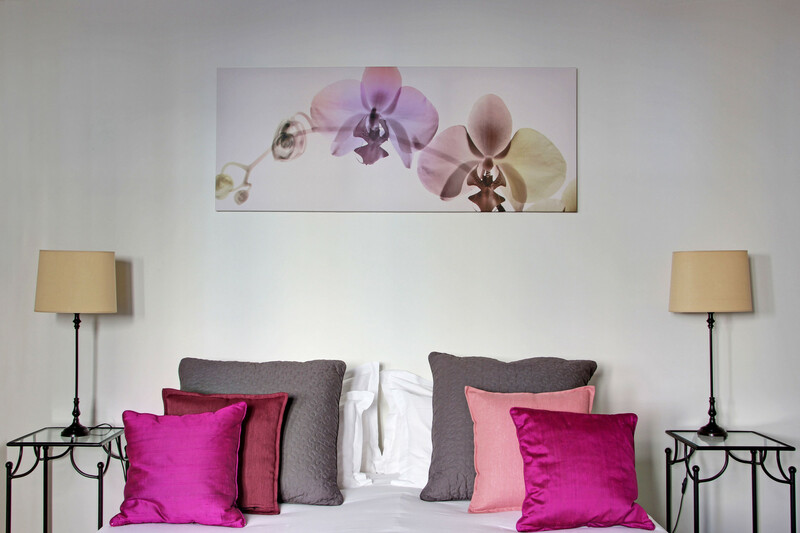 My girlfriends and I stayed at Rue Greneta in mid-September and had a wonderful time. 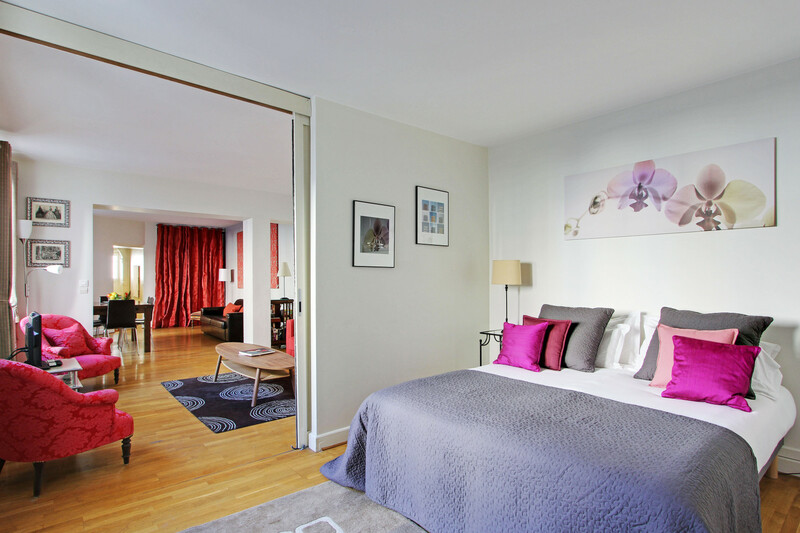 The apartment was well appointed,spacious and in the perfect location by the St-Denis/Rue Montorgueil pedestrian walk where you can find fabulous patisseries, boulangeries and restaurants. I would also highly recommend using Elysee car service as well. They were prompt, friendly and efficient. Would definitely use this agency again. My family of 4 stayed at Greneta in August 2009 for a week. We had a great time. The welcome was excellent, the flat has more than adequate space and high standard accomodation. . We have two teenagers 19 and 14. Its very convenient to explore Paris and the neighbourhood safe. We walked around the area late at night most nights. We would have no hesitation going back. My family of five, two adults and three boys, 14, 9, and 4 stayed at Greneta for eight days in late March. The apartment was more than adequate in space and sleeping arrangements for five. I slept better there than I do at home, the apartment is quite secluded and quiet, clean, efficient, and uncluttered. Alexandra was right on time and very helpful, and though I was prepared to speak French Alexandra speaks both English and French. Prior to our arrival every question I had was promptly answered by Michele or one of her associates. We fell in love with the Rue Montorgueil and all of the vendors Boulangers and many pleasant people that we encountered there. I tell people that it was a very un-touristy area where you can get a better sense of how Parisians live. We loved going to the market every day, everyone was so pleasant and polite. Love the French people for their graciousness,etiquette and common civility. The late March weather was very intense which made returning to Rue Greneta even more special. Our children were quite comfortable there and didn't want to leave. We used Elysee Car both to and from the airport, couldn't have been more convenient. Unbelievably quiet apartment - no traffic noise at all. 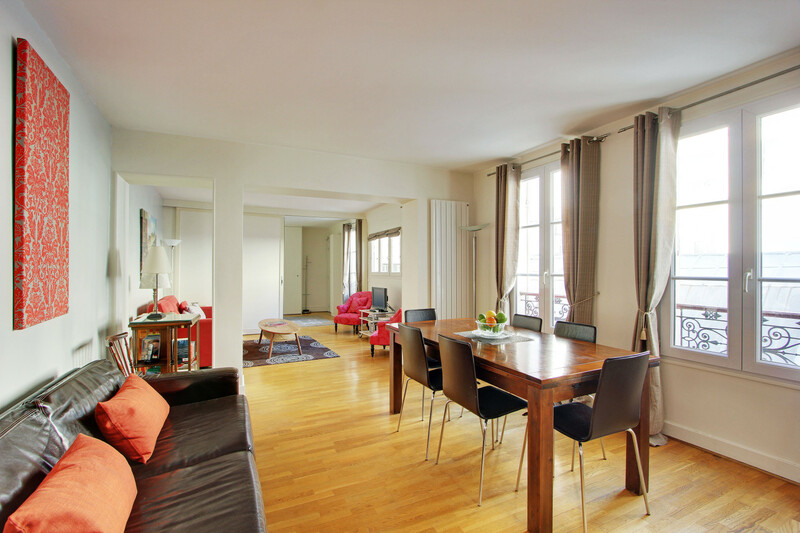 Great location for exploring the Marais on foot and it's easy to walk much further afield or use the Metro or Batobus. Bustling market within rue Montorgueil just a minute's walk (if you're hungry try Le Pain Quotidien). Comfortable living space for a family of five. We had a great time. -Chris. October 2007. We stayed here for 5 nights in September. Our group consisted of two kids (8&10), parents, and two grandmas (63 & 77). The apartment worked out great for our varied needs. We were close to tourist spots, but also to shopping and a real neighborhood. The apartment is amazingly quiet. We ended up renting a wheelchair at the pharmacy down the street for one of the grandmas, and received excellent service. Even with our poor French, everyone we met was incredibly friendly and helpful. We dream of being able to go back again, and would definitely consider staying there again. Step through the massive wooden door onto rue Greneta and within two minutes you can be buying croissants from a white-jacketed counter assistant at a patisserie which began as cakemaker to the French royal family in 1730 (Stohrer on rue Montorgueil).Two minutes later, within the grey Gothic depths of Saint Eustache, a church as large as a cathedral, you can track rare bands of sunlight as they dapple the ancient stone gold and purple.Just thirty seconds more and you can be exploring the passages and courtyards and tall, tight streets which Zola described so minutely that it is a small work of the imagination to summon up the clatter and colour and pungent aromas of the time when the newly opened food markets of Les Halles had just become ‘The Belly of Paris’. I could go on…it’s a short stroll to the Centre Pompidou, the Palais Royal, the Seine… the neighbourhood has a particularly wide choice of eateries, including welcoming, affordable restaurants serving the kind of food French grandmothers would approve of… rue Montorgueil, free from cars, but full of cafes, is the ideal place to people-watch... and this apartment is a wonderfully quiet, comfortable, well equipped and unusually spacious haven from which to discover the heart of the city on foot. Lennox Morrisonp.s. Throughout our two-month stay Michele and her team have looked after us with their usual kindness and attention to detail. "Ottima sistemazione e zona sicura anche di notte e comodissima per RER e metro"
Abbiamo trascorso 5 giorni nell'appartamento in 7 (3 adulti, 2 nonne e 2 bambini di 7 e 4 anni). Siamo stati accolti benissimo ed abbiamo trovato l'appartamento in ottimo stato e ben attrezzato. Ogni mattina facevamo colazione con i deliziosi croissants che si possono comprare in varie boulangeries in rue Montorgueil (4-5 minuti a piedi). A piedi si possono raggiungere monumenti e quartieri molto piacevoli e vivibili anche in tarda serata senza alcun problema di sicurezza. La vicinanza con la linea RER (Chatelet) rende l'appartamento fruibile anche da chi voglia raggiungere comodamente l'aeroporto Beauvais (linea diretta fino a Porte Maillot da cui partono i bus per l'aeroporto) ed anche Disneyland, raggiungibile in circa 40 minuti senza cambiare mezzi di trasporto. Torneremo sicuramente! Thank you for your lovely comments! 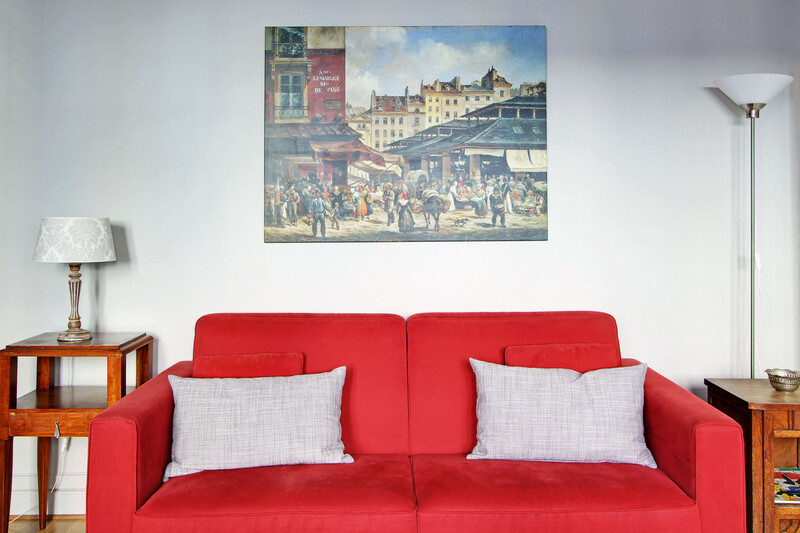 I've translated them into englishbelow: "excellent accommodation and safe area even at night and convenient for metro and RER ★ ★ ★ ★ ★ We spent 5 days in the apartment in 7 (3 adults, two grandmothers and two children aged 7 and 4 years). 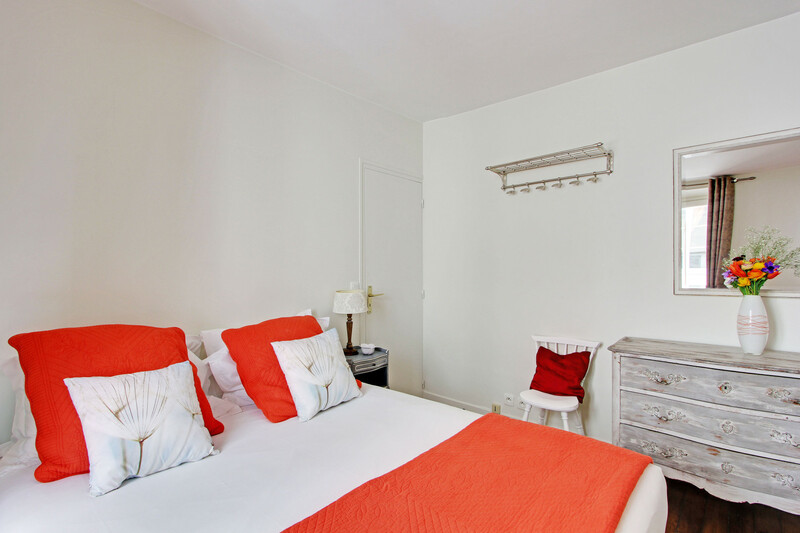 We were greeted very well and we found the apartment in good condition and well equipped. Every morning we had breakfast with delicious croissants that you can buy in various boulangeries on rue Montorgueil (4-5 minute walk). On foot you can reach the monuments and neighborhoods very pleasant and livable even in the late evening without any safety concerns. 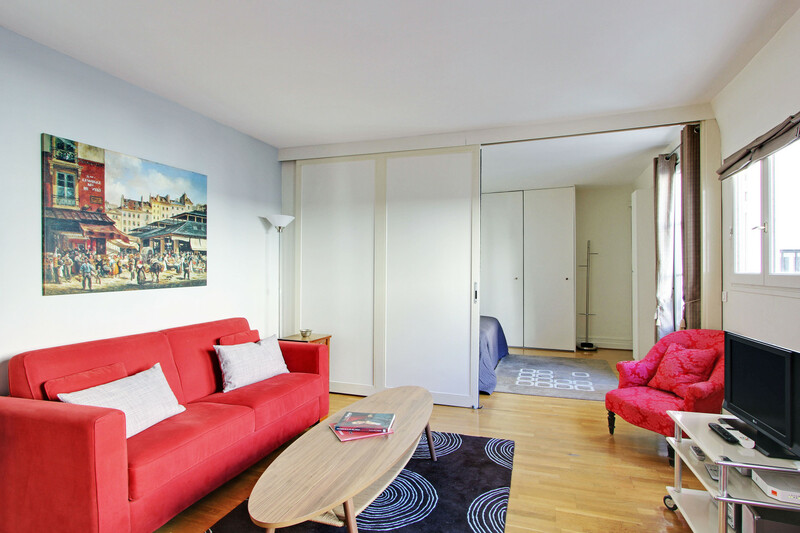 The proximity to the RER (Chatelet) makes the apartment accessible even by those who want to reach the airport Beauvais (direct line to Porte Maillot from where buses depart for the airport) and even Disneyland, which is about 40 minutes without changing means of transport. We will definitely be back! Reviewer location in La Spezia, Italy Date of arrival August 31, 2015"